Grandfather Conway Ulyate, U.S. Army Air Service, Fort Sill, Oklahoma. 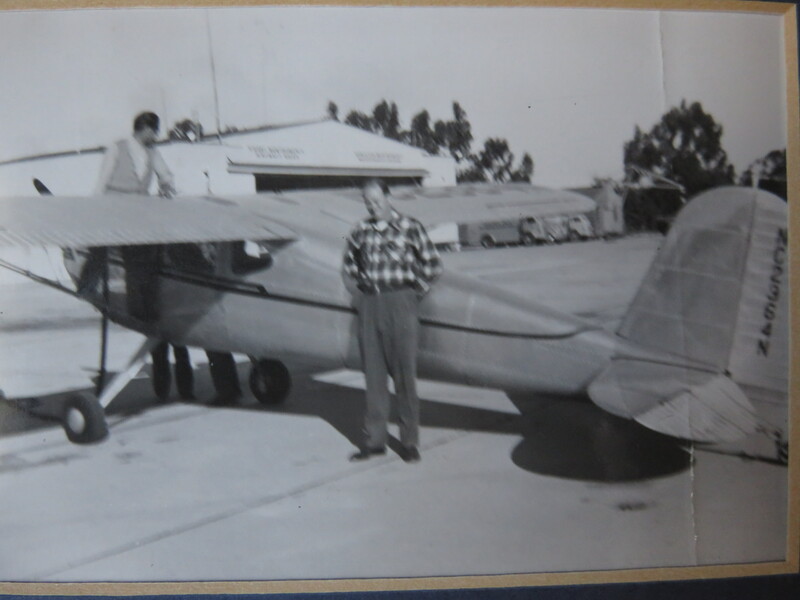 Dad with an earlier plane. Oh the joy! 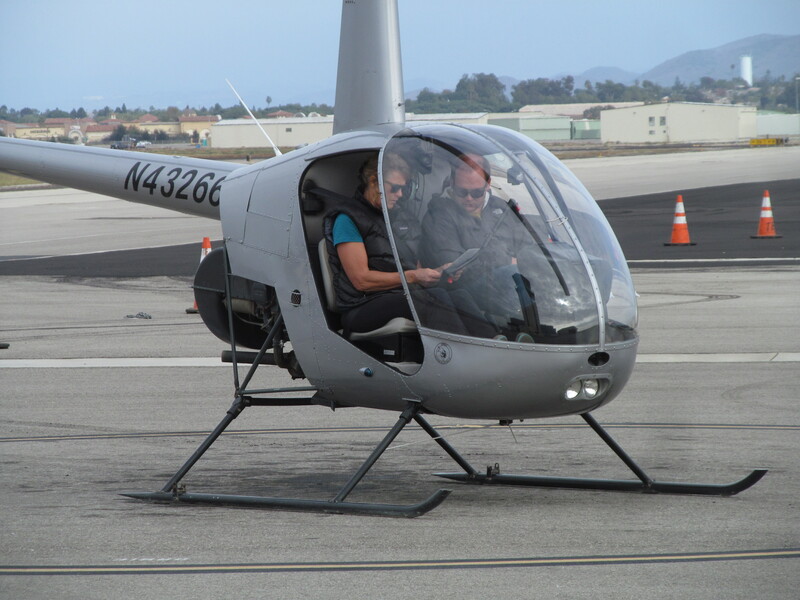 I got to fly a helicopter for my Birthday :)) out of Camarillo Airport — not far from my native Malibu. And a visit to the WWII Air Museum there prompted a memory I hadn’t thought of in years. Is it possible? Could it be? 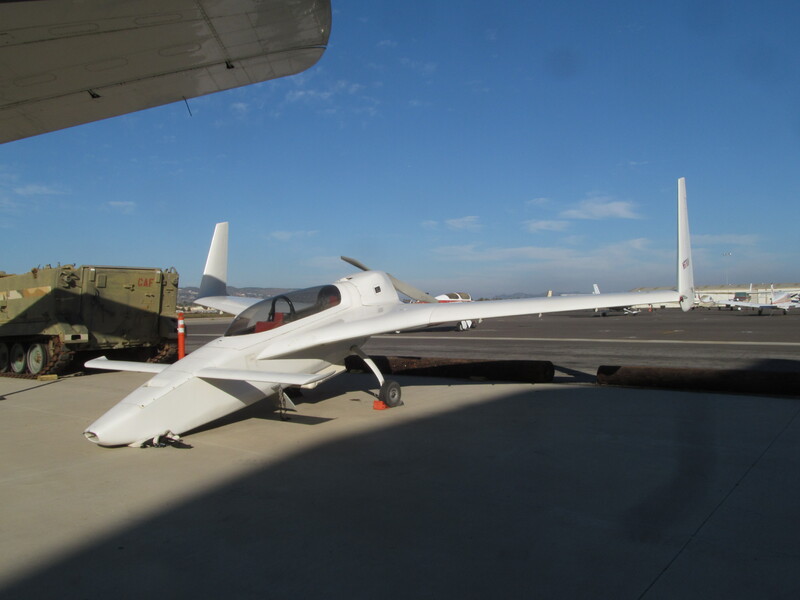 Outside the Museum hanger, parked on the tarmac, was a solitary white homebuilt aircraft. Perched there, awkward — looking sort of like a dolphin out of the sea. 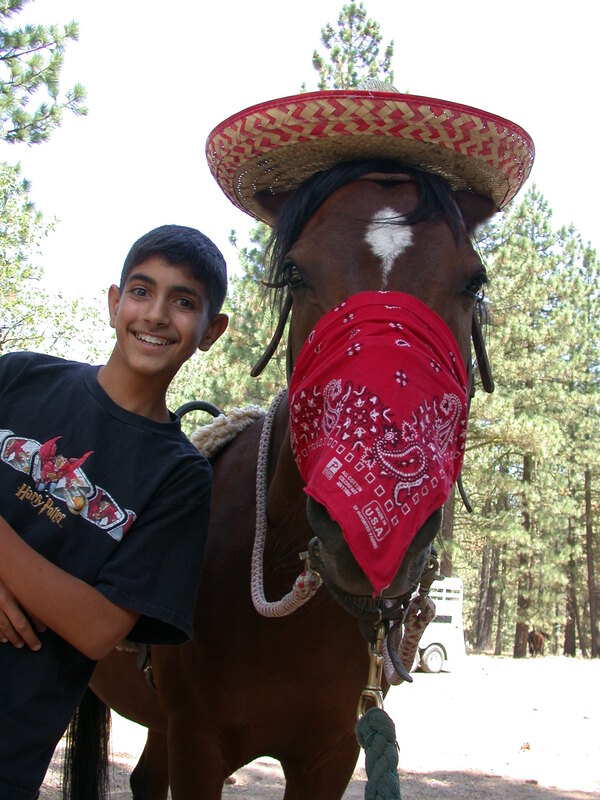 My horse is an airplane, my airplane, and my soul longs to take up his yoke and soar. As I roll open the gate and lead him from his barn-hanger, I feel the thrill of knowing that we’ll be in the air, soon. Like my fellow aviators, I administer my preflight routine: Brush off his hair coat—check. Pick out his hooves—check. 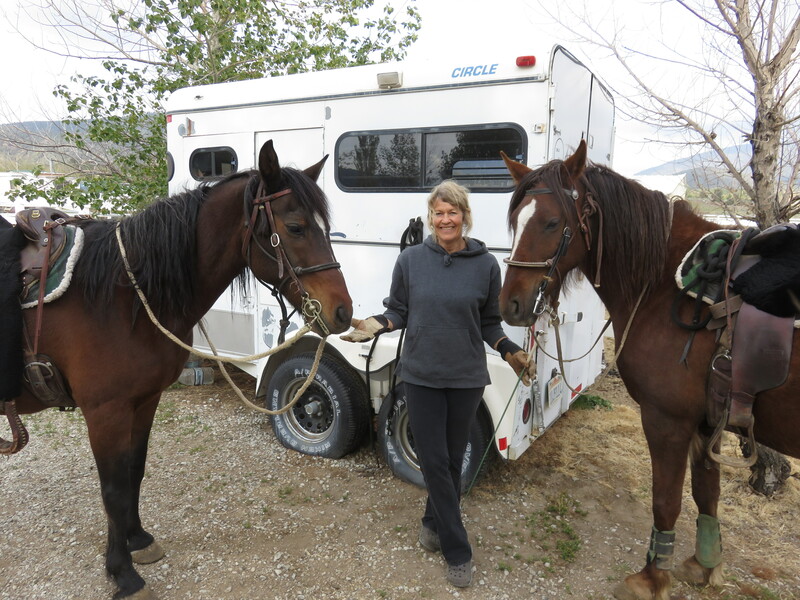 Pad, saddle, girth, bridle—check, check, check. Before I mount, I run my hand across his silky neck, and I remember my dad’s first airplane, when I was very young. After all, it was a horse – an airplane called a Piper Colt — a tiny economical two-seater with not metal, but a painted cloth exterior. Gee, Dad, I thought. How safe is that? Fortunately my plane is made of proper flesh – no paint-coated cloth cut-outs for me. 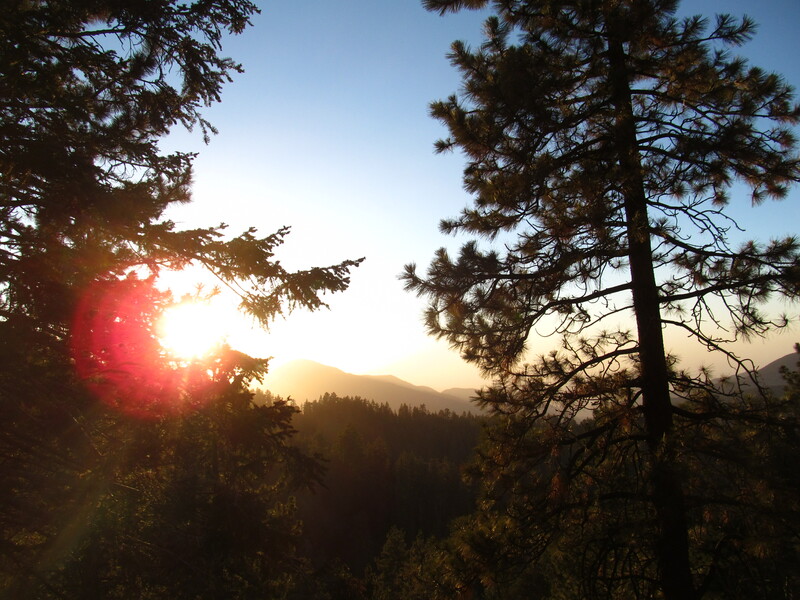 Far from the city lights, high up in my California mountains, Paradise calls. I am one of the very lucky ones – I, and the pilot who flies a lone plane overhead – hear the engine, see the strobe. I wave and tip my mental hat, passing along a greeting to my fellow Adventurer of the Night. 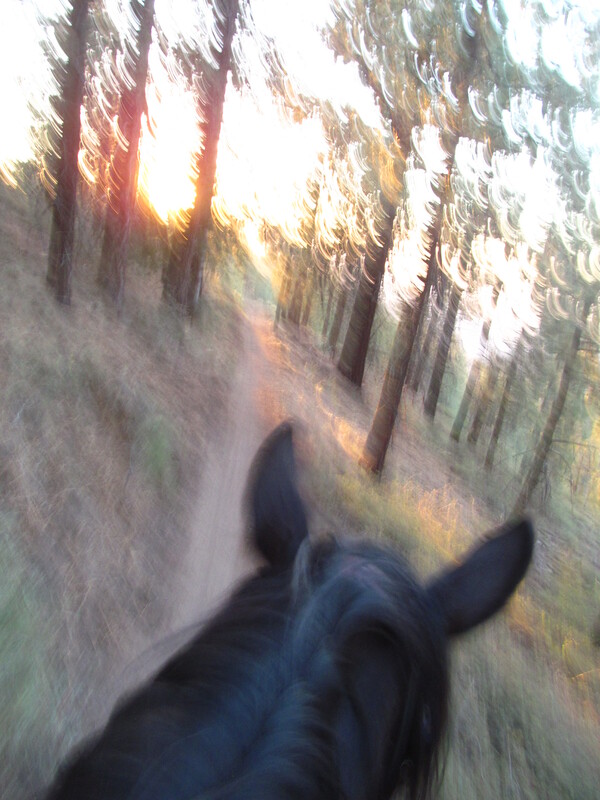 Into the twilight, early July, my first high-mountain ride of the season, I ride my Mare past the portal of McGill Trail, up, up, into the wilderness. Even though risks lie in steep drop-offs just inches beside me, here, I am always welcome. Always safe. Up, up, we stride, into the comfort of the falling curtain of night. Great post on you and your dad!